"Form follows function." There has never been a more seductive dictum in the history of architecture. 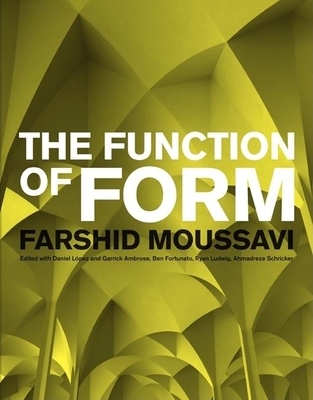 In The Function of Form, internationally acclaimed architect Farshid Moussavi provides a provocative critique of the historically opposing relationship between function and form to reveal the contradiction at the heart of modernism. We need to move away from the defunition of function as utility, she argues, to align it with how function is defined in mathematics, biology or music. Form, on the other hand, should be considered not only in the way buildings are produced, but also how they perform sensorially.